Costs – Find more information on tree removal, stump grinding and tree care in Tallahassee, Florida so you don’t pay more than the city average. FAQs – There are a lot of trees that thrive in Tallahassee, but you need to be in the know about current regulations and the diseases hitting the area before you plant. Read more here. Services – Need to talk to a pro? We’ve got the list for you–no reason to click away! How Much Do Tree Services Cost in Tallahassee? Trees benefit the Tallahassee, FL, landscape by providing nesting areas for birds and animals, shade for yards and homes and a place for recreation. They also help to clean the air and provide aesthetic appeal and value to a property. In order to ensure the health and vigor of trees, property owners need to keep up with maintenance, including pruning, trimming and the removal of diseased or dying specimens. The average cost of tree removal in Tallahassee is $765. Removing dead or diseased trees halts the spread of plant diseases to neighboring trees. It also helps to ensure the safety of passersby and structures that are in the path of a dead tree. Trees located near power lines, structures or other hazards may cost more to remove. The average cost of tree stump removal in Tallahassee is $338. Tree stumps are typically left behind after a dead or diseased tree is cut down. The stump can be unsightly and may attract unwanted pests. Tree stumps that are large in diameter or include extensive root systems may cost more to remove. The average cost of trimming and pruning trees in Tallahassee is $462. Careful trimming and pruning promotes healthier growth and enhances the tree’s resistance to disease and pests. Proper pruning also helps to ensure that the entire tree gets adequate watering and sunlight. The Tallahassee climate allows many species of trees to grow and thrive. The generally moderate weather is welcomed by trees that enjoy temperate climates. Many local and imported tree types grow quickly due to the long summers and plentiful rainfall. Professional tree care helps ensure the vitality and beauty of trees. The landscape of any property can be enhanced by the careful planting of tree species appropriate for the soil and sunlight conditions. In order to remove a tree in Tallahassee, property owners must obtain a permit from the county government’s Environmental Services Division. Underbrush can be cleared without a permit, but any sort of tree activity that disturbs the soil requires county permission. Trees located near overhead power lines are a safety hazard especially during tropical storms and hurricanes. Medium trees must provide at least 20 feet of clearance to overhead power lines while large trees must be 30 feet away. 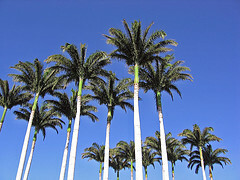 Large palm trees must be located at least 20 feet away from the power lines, which is the average palm frond length. Small trees of any variety may be planted adjacent to overhead power lines. The best time to remove a dead or diseased tree in Tallahassee is in January. During this cool time of the year, most trees are in a dormant phase of the growth cycle. However, if a tree poses an imminent risk or is likely to fall in a storm such as the hurricanes that are common to Florida, property owners should secure a permit to cut down the tree as quickly as possible. To ensure that the trees on a property thrive, property owners may want to look to species that are native to the area. These trees will grow best in the climate and soil conditions. Hybrid trees of similar species are also wise choices as they are bred to resist diseases and pests. The state tree of Florida is the sabal palm. This tree is commonly referred to as the cabbage palm. It thrives in most soil types and is prized for its medicinal properties, fruits and landscaping uses. They’re salt and frost tolerant, and they reach about 20 feet in height at maturity. A variety of fruit trees grow in Tallahassee. Property owners can select from Meyers lemon, kumquat, orange, plum, lime and fig trees. Dwarf varieties of these trees produce fruit after their first or second year while standard varieties fruit the third year after planting. The American beech tree reaches heights of 100 to 115 feet at maturity. The sabal palm and orange trees are some of the shortest trees in the area, reaching around 20 feet at maturity. The white ash tree is susceptible to the emerald ash borer. Dogwood trees are affected by anthracnose. Beech bark disease affects beech trees. Beech blight aphids are also a problem for American beech trees in Tallahassee. 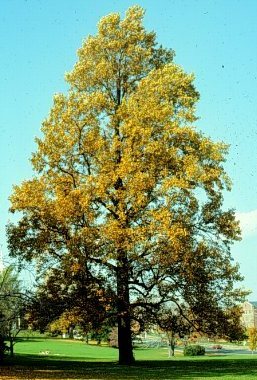 Oak wilt affects oak trees in the city. The orange tree is one of the most difficult to maintain in the Tallahassee area. The fruits are susceptible to loss due to freezing temperatures. To prevent insect infestation, the trees must be sprayed with insecticide. The trees also require regular fertilization to produce healthy fruits.